Photo credit to Jari Laukkanen/Suomenmaa. As expected, the liberal Suomen Keskusta (Centre Party) won the largest share of the vote in Sunday’s parliamentary elections in Finland after a campaign dominated by Finland’s flagging economic recovery. That means Juha Sipilä, a former telecommunications executive who entered Finnish politics just four years ago, will become the country’s next prime minister, and he will prioritize an agenda of economic reform that includes personal and business tax cuts, further budget-trimming and steps designed to increase the competitiveness of Finnish industry. 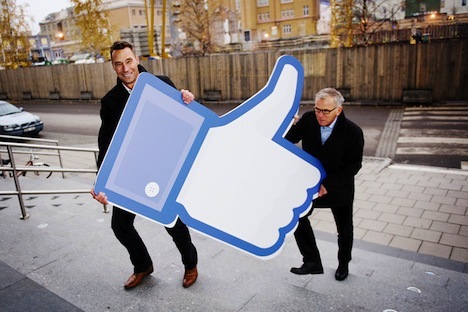 The Centre Party led Finland’s government most recently between 2003 and 2010 under former prime minister Matti Vanhanen, who also emphasized tax cuts and promoted innovation — Vanhanen’s government was the first in the world to introduce a legal right to broadband internet. Olli Rehn (pictured above), who from 2004 to 2014 became the European Commission’s chief official for economic and monetary policy, won a constituency in Helsinki to return to the Finnish parliament, where he’s expected to play a leading role in the new government — quite possibly as Finland’s next finance minister. But the Centre Party’s narrow victory wasn’t the most convincing — it only defeated the governing center-right Kansallinen Kokoomus (National Coalition Party) by just over 3%. 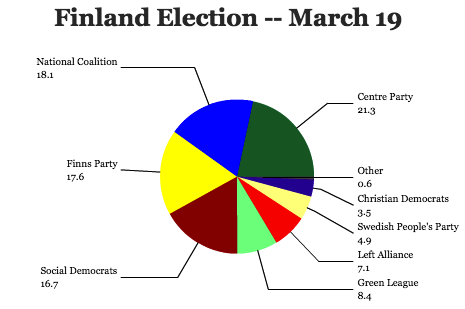 Another two parties, the far-right Perussuomalaiset (PS, Finns Party) and the center-left Suomen Sosialidemokraattinen Puolue (SDP, Social Democratic Party) weren’t far behind. Each of Finland’s four major parties won between 17% and 21% of the vote, hardly a ringing endorsement for anything other than the traditional moderation and consensus that has marked past Finnish governments. For now, the Centre Party’s victory will end talk of Finland’s potential accession to NATO, a position that outgoing prime minister Alexander Stubb favored and that Sipilä (along with most Finns) opposes. 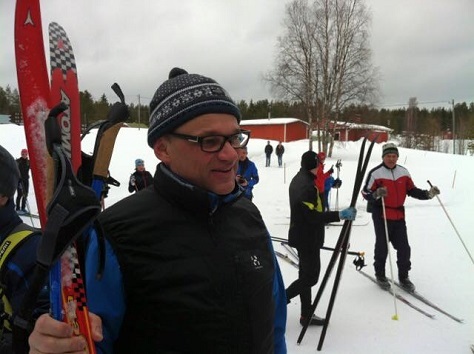 RELATED: Who is Juha Sipilä? The man who wants to become CEO of Finland, Inc. But it also means Sipilä’s government will almost certainly depend on the Finns Party in some form. Throughout the Finnish election campaign, that has caused trepidation throughout Europe for two reasons. First, the eurosceptic far right will now hold the balance of power in Finland, a scenario that’s becoming increasingly common in the Nordics as anti-EU nationalists continue to gain support throughout all of Europe. Second, because the Finns Party are opposed to future Greek bailouts, Finland’s new government could complicate efforts to reach a new deal on Greece’s financing that will allow it to remain in the eurozone. 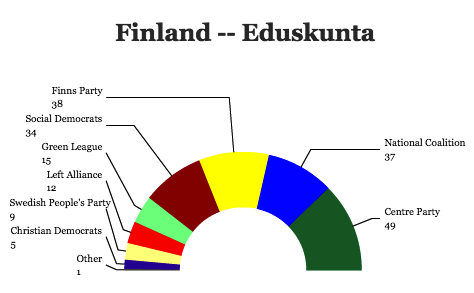 Perhaps the biggest surprise in Sunday’s vote was the strong showing of the Vihreä liitto (Green League), which gained five seats (for a total of 15) in the 200-member Eduskunta, the unicameral Finnish parliament. 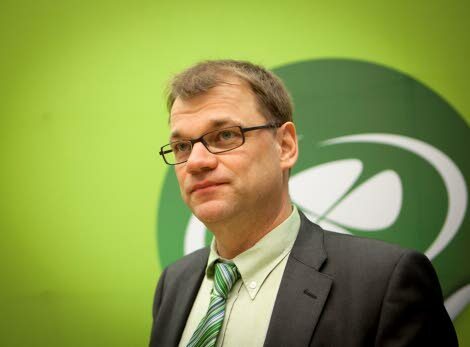 Sipilä hopes to avoid the same unwieldy coalition that hampered the National Coalition-led government since 2011, first under Jyrki Katainen and under Stubb for the past 10 months after Katainen joined the European Commission (where he currently serves as vice president for jobs, growth, investment and competitiveness). Katainen was disappointed in his plan to enact deeper reforms, in part because he was forced to balance an unwieldy six-party coalition that included not only the center-right National Coalition, but the Social Democrats, the Green League and the Left Alliance (Vasemmistoliitto). 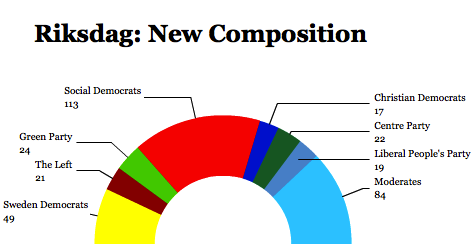 Sipilä starts out with less than half the seats he needs for a coalition. If Sipilä includes the conservative Kristillisdemokraatit (Christian Democrats) and the Svenska folkpartiet i Finland (Swedish People’s Party), a small party devoted to the interests of Finland’s Swedish-speaking population, he’ll have just 63 seats. Who is Juha Sipilä? The man who wants to become CEO of Finland, Inc. If the voters of Finland elect challenger Juha Sipilä as its next prime minister, the former telecommunications minister will have the iPhone to thank. That’s because the Finnish economy was in recession in 2012 and 2013, and it registered only tepid growth last year. In part, it’s due to Nokia’s loss of market share. Once a synonym for state-of-the-art technology in mobile phones, the exponential rise of the iPhone in the past eight years left the Finnish champion reeling for new areas of growth and shedding jobs near the Finnish capital of Helsinki. Notwithstanding plans for Nokia to merge with French telecoms equipment provider Alcatel announced last week, Nokia’s global dominance in mobile smartphones collapsed over the course of the four-year government of the center-right, liberal Kansallinen Kokoomus (National Coalition Party) while Samsung and Apple increasingly pushed Nokia out of the market. Nokia ultimately sold it devices and services business to Microsoft in 2013. Simultaneous woes have afflicted Finland’s once-thriving timber market. So it’s not surprising that voters are poised to elect Sipilä as their next prime minister, a former telecommunications executive who aims to run Finland like a private-sector company. There’s a sense that voters also want to punish the National Coalition. Even former prime minister Jyrki Katainen appeared to sense that when he stepped down last spring to take a position at the European Commission, where he currently serves as the Commission’s vice president for jobs, growth, investment and competitiveness. Katainen left it to his former European affairs minister, Alexander Stubb, to lead his party into the March 19 elections. Polls suggest that has become increasingly difficult over the course of the past 10 months since Stubb assumed the premiership. Just three years after taking power as Finland’s prime minister, Jykri Katainen is set to step down both as leader of Finland’s center-right Kansallinen Kokoomus (National Coalition Party) and as prime minister later this month, following the Saturday leadership election of Alexander Stubb as the party’s new leader. 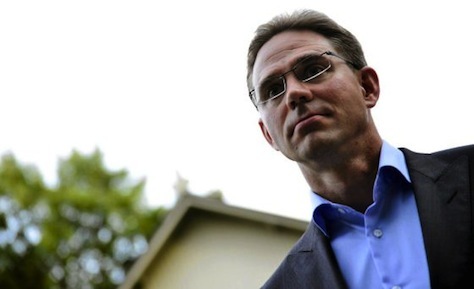 Though Katainen (pictured above) is just 42 years old, he’s been at the helm of the National Coalition Party for a decade. Katainen stunned Finland in April when he announced he was resigning, with an eye toward pursuing a top job in the European Union. At the time, everyone assumed he was angling to become Finland’s next commissioner within the European Union, replacing Olli Rehn, the influential vice president of the Commission and, since 2010, the commissioner for economic and monetary affairs. 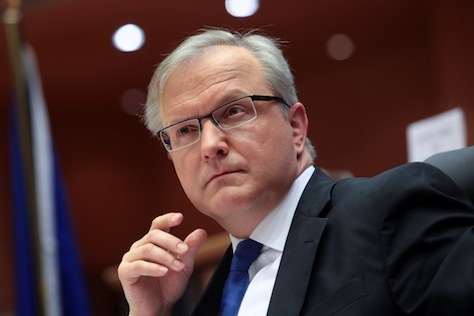 Rehn previously served from 2004 to 2010 as commissioner for enlargement, and he was recently elected to the European Parliament as a member of Finland’s liberal Suomen Keskusta (Centre Party). But as the wrangling continues among Europe’s leaders over whether former Luxembourgish prime minister Jean-Claude Juncker should become the next president of the Commission, Katainen has tried to position himself as an attractive alternative. Juncker seems likely to command an absolute majority of the European Parliament, but there’s no sure bet that he’ll win the qualified majority within the European Council that he’ll need to win the Commission presidency. 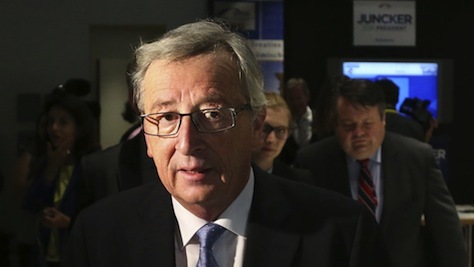 Juncker, led the pan-European campaign of the European People’s Party (EPP) in the May parliamentary elections, which won the largest number of seats in the 751-member legislature. Can Sweden save the European Union from the NSA spooks? Even as the media continues to debate leaks revealing the secret surveillance program of the U.S. National Security Agency, code-named ‘PRISM,’ one of the chief private-sector actors in the PRISM scandal opened its first non-U.S. site on Wednesday, giving one European nation a key jurisdictional hook to regulate future data privacy. According to news reports from The Guardian, Facebook, has been cooperating voluntarily with the NSA’s PRISM program since summer 2009, thereby exposing the private data of both U.S. and non-U.S. citizens alike to the purview of the NSA under the authority of the U.S. PATRIOT Act passed in the aftermath of the 2001 al Qaeda terrorist attacks on New York and Washington. But Facebook also opened a new facility to host its servers in far northern Sweden on Wednesday (in part to use the chilly Arctic weather to more efficiently cool its European servers). Despite the awkward timing, it is Facebook’s first server hall outside of the United States, and its opening comes when European Union leaders are pushing for answers on the extent to which NSA has been permitted access to private, personal data by Facebook, Google, YouTube, Apple, AOL and other service providers and while the European Parliament is considering a new data protection directive that would enhance protection of the personal data of EU citizens. Assuming that the European Union cannot stop U.S. government agencies, it means that European regulators could target U.S. technology companies in greater measure — after all, the EU already places restrictions on Google’s StreetView program and has already banned the European use of Facebook’s face recognition software. So does that give Sweden a unique opportunity to ensure that the private data of EU citizens is not caught up in the NSA snare? 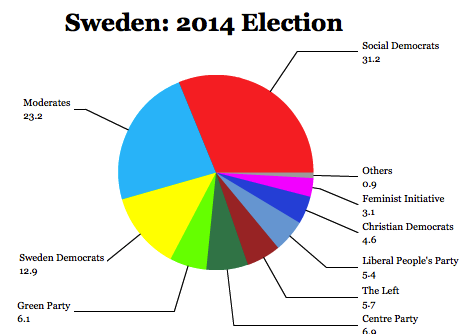 After all, Sweden is virtually synonymous with good government, right? According to Transparency International, it’s among the least corrupt countries is the world. In the middle of the 18th century, Sweden essentially invented the concept of freedom of information with the Freedom of the Press Act of 1766, and its leaders over the past two decades championed a EU-wide freedom of information regime. But a reputation for transparency doesn’t necessarily connote a reputation for protecting privacy. Wikileaks founder Julian Assange was so worried that Swedish authorities would extradite him to the United States that he chose to hunker down in Ecuador’s London embassy instead of allowing British authorities to transfer him to Sweden for a trial on a sexual harassment charge. Swedes have also raised concerns with EU policymakers that the push for more robust data protection could actually harm government transparency by limiting the Swedish government’s ability to provide open access to documents. Moreover, the current center-right coalition headed by prime minister Fredrik Reinfeldt of the Moderata samlingspartiet (Moderate Party) has introduced greater levels of Swedish surveillance. In 2009, it narrowly passed legislation that would allow the government’s Försvarets radioanstalt (the National Defence Radio Establishment) to wiretap and access all international telephone and internet traffic, even if all ultimate parties in the traffic are Swedish. 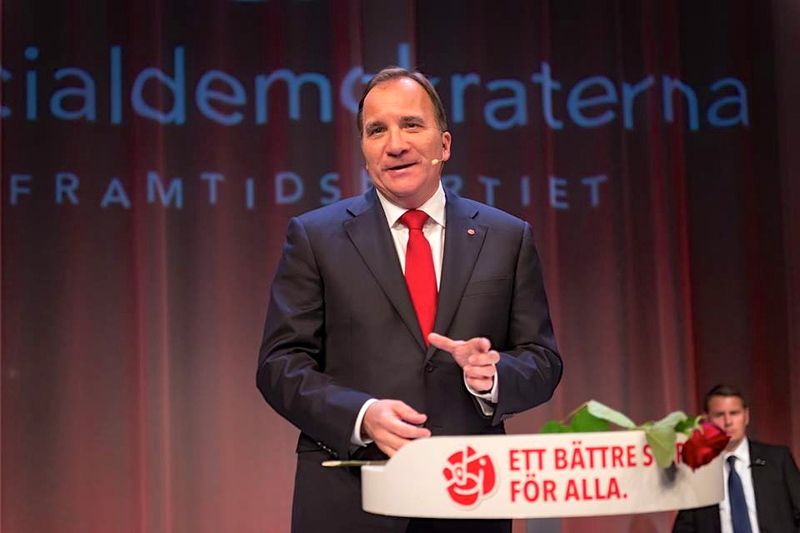 Though the legislation, know as the ‘FRA law’ passed only narrowly by Sweden’s parliament, the law had its genesis in the prior center-left government of the Sveriges socialdemokratiska arbetareparti (Swedish Social Democratic Workers Party). It essentially codified into Swedish national law much of what PRISM has been purported to do within the United States. The law caused some amount of concern, especially in neighboring Finland because all of its Internet and phone traffic at the time routed through Sweden.